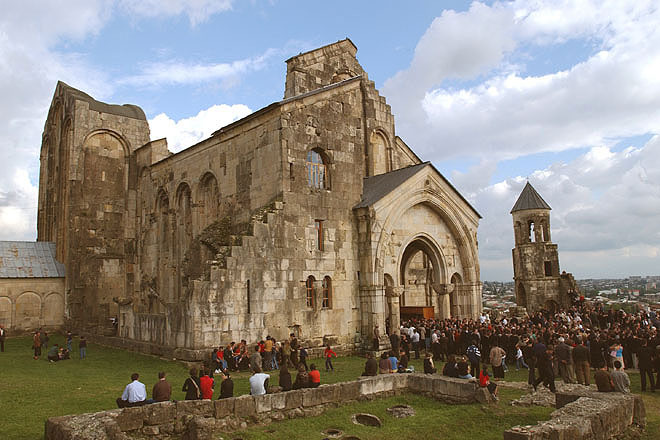 1000 years celebration of the Bagrati Cathedral. 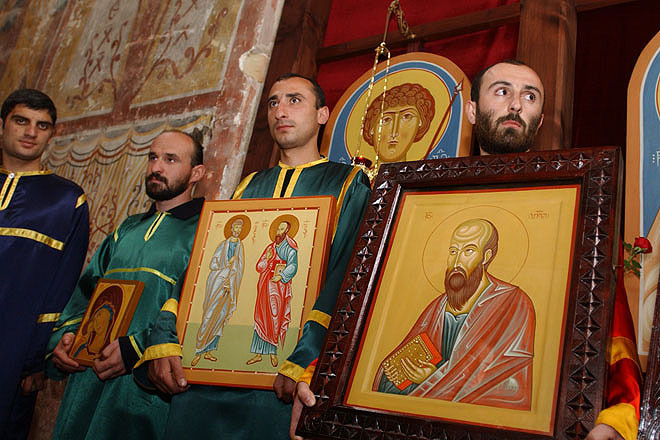 Holy Liturgy in the church at Gelati monastery. 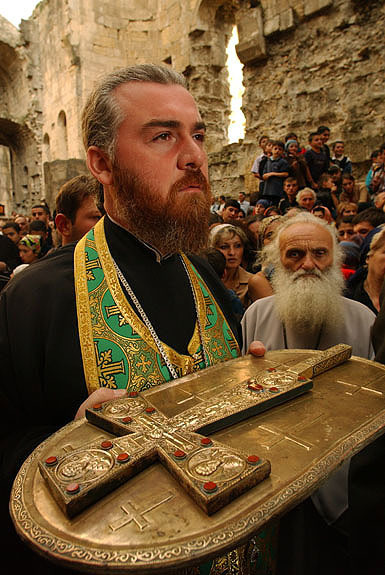 Holy Liturgy in the church at Gelati monastery led by Patriarch Bartholomeos (left) and Catholicos Ilia II, Patriarch of all Georgia. 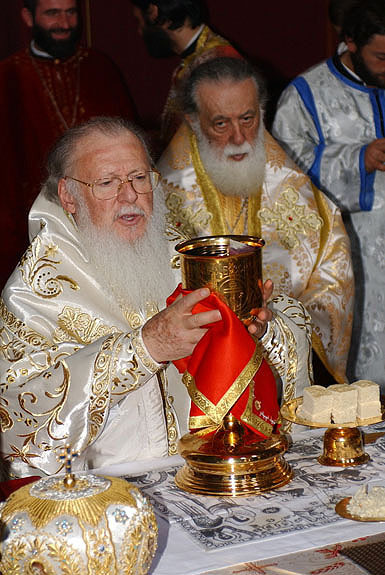 The Ecumenical Patriarch Bartholomeos visited Georgia Sep. 19-24, 2003. 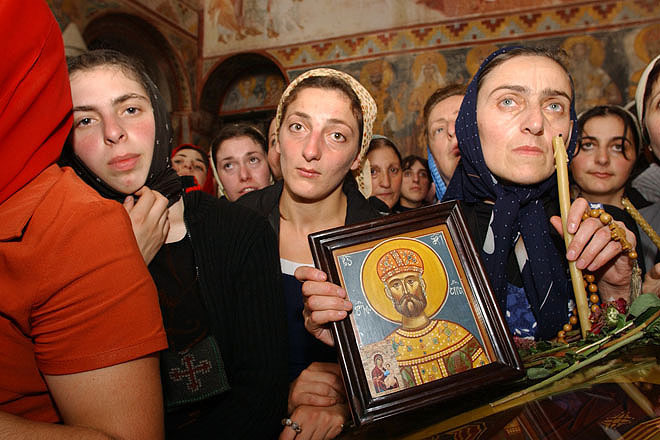 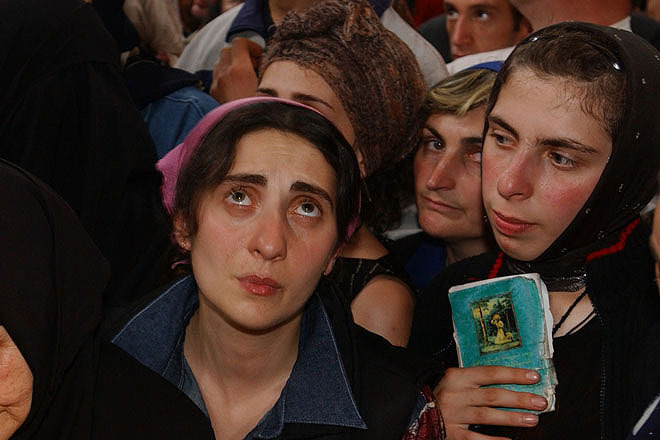 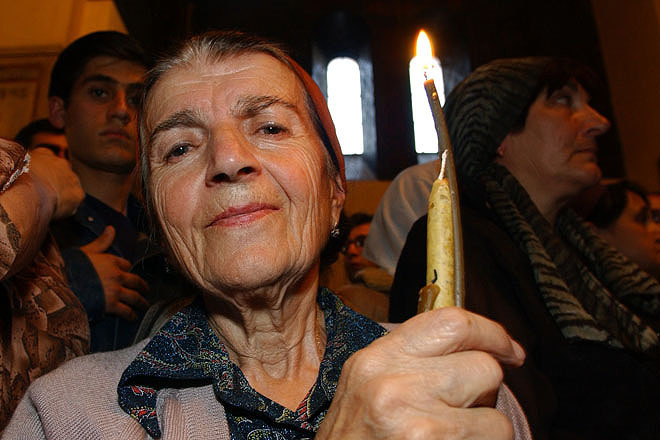 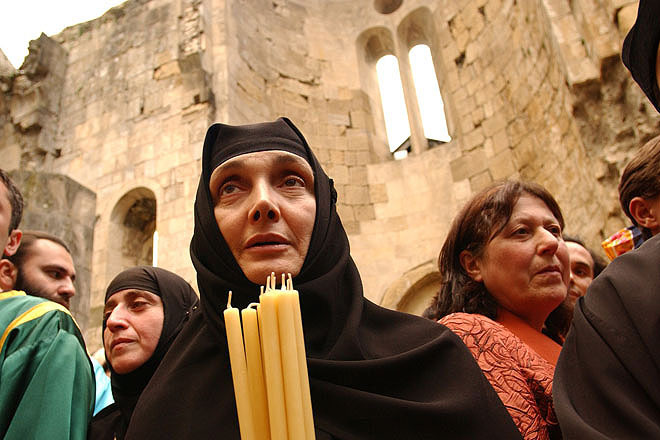 Believer during evening vespers at the Sioni Orthodox church. 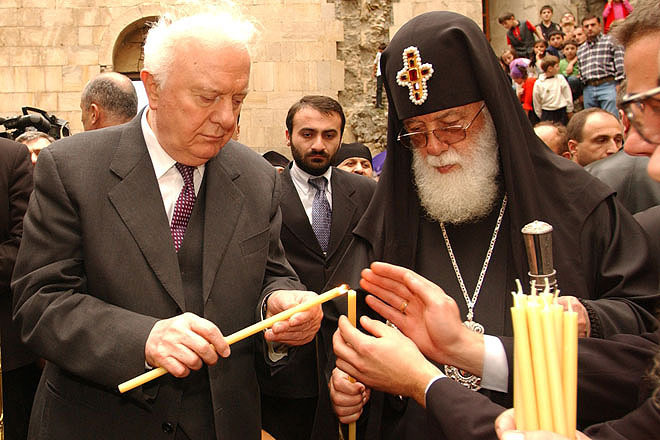 From left: Eduard Shevardnadze, President of the Republic of Georgia and Catholicos Ilia II, Patriarch of all Georgia. 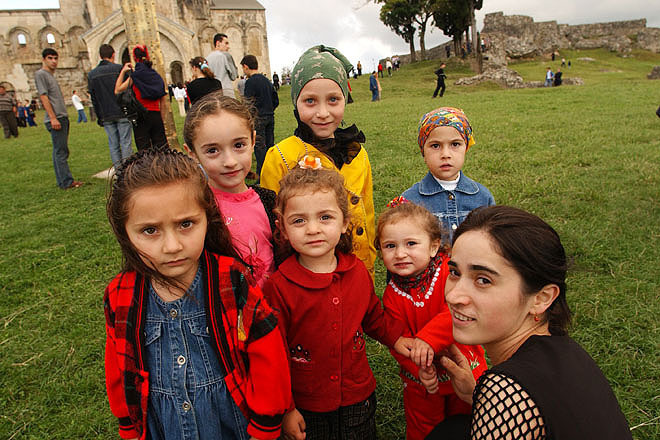 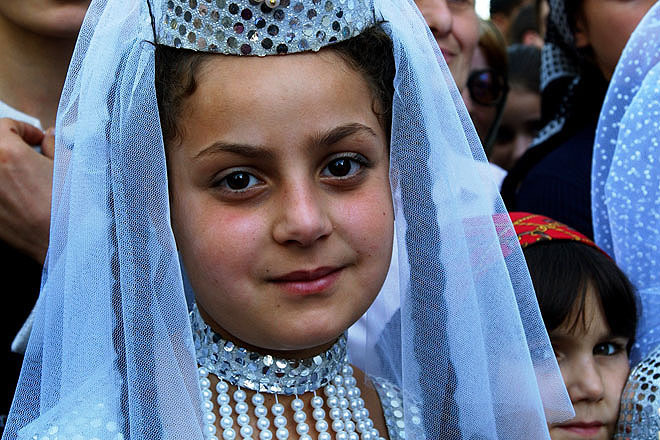 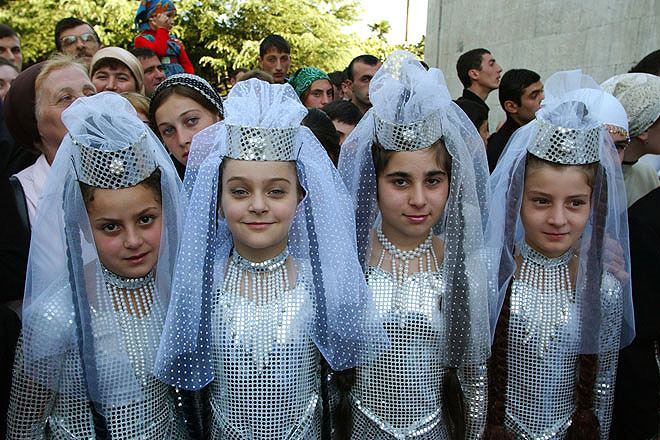 Children posing for snapshots during 1000 years celebration of the Bagrati Cathedral. 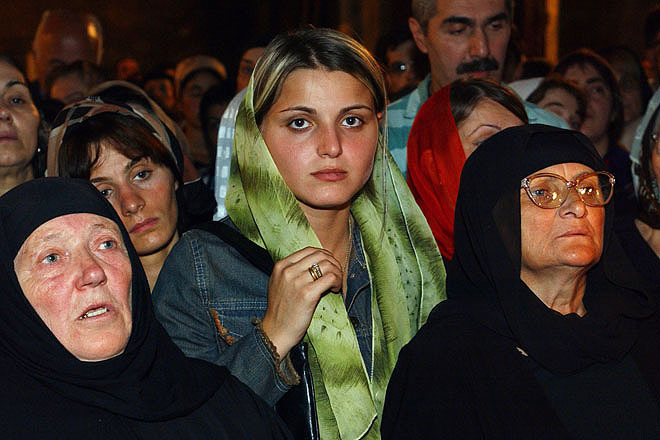 Villagers await the arrival of Patriarch Bartholomeos outside the church in Khoni, a small village near Kutaisi. 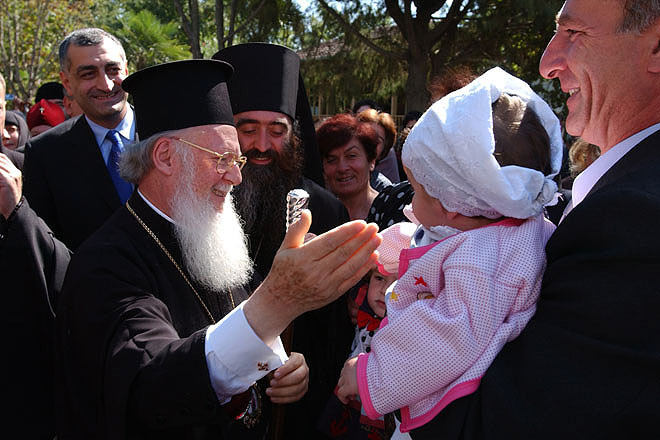 Patriarch Bartholomeos greets villagers outside the Orthodox church in Bashi, a small village near Kutaisi. 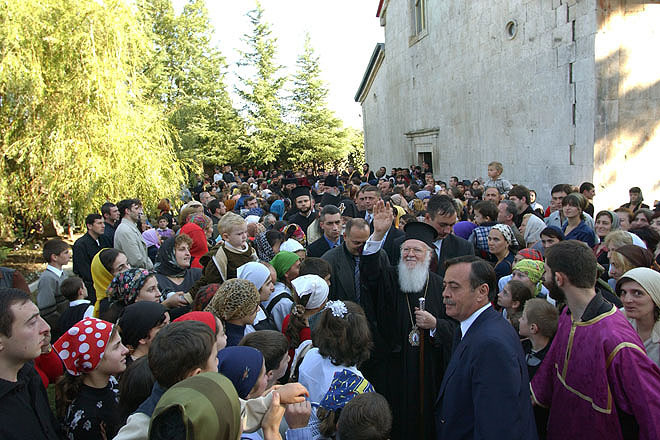 Patriarch Bartholomeos greets villagers outside the church in Khoni, a small village near Kutaisi. 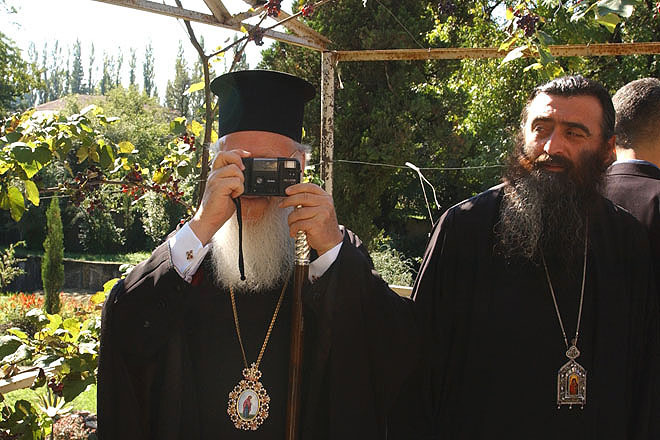 Patriarch Bartholomeos during an informal moment in Khoni, a small village near Kutaisi. 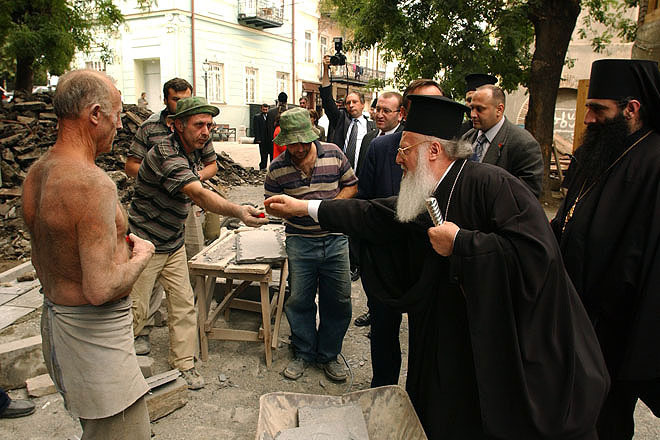 Patriarch Bartholomeos distributes gifts to construction workers during a brief shopping trip in Tbilisi. 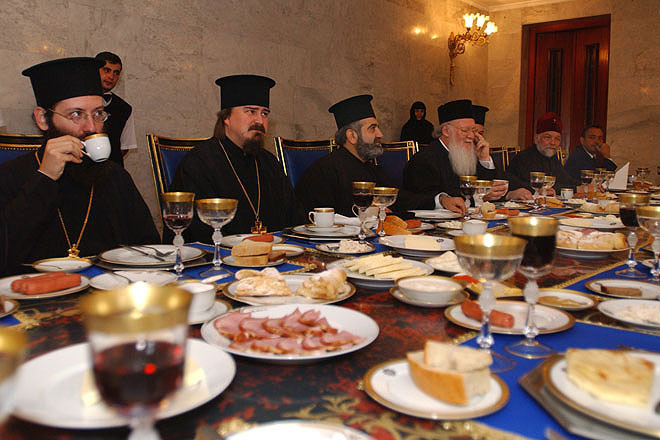 Meeting between Patriarch Bartholomeos and Catholicos Ilia II, Patriarch of all Georgia, at Krtsanisi Residence. 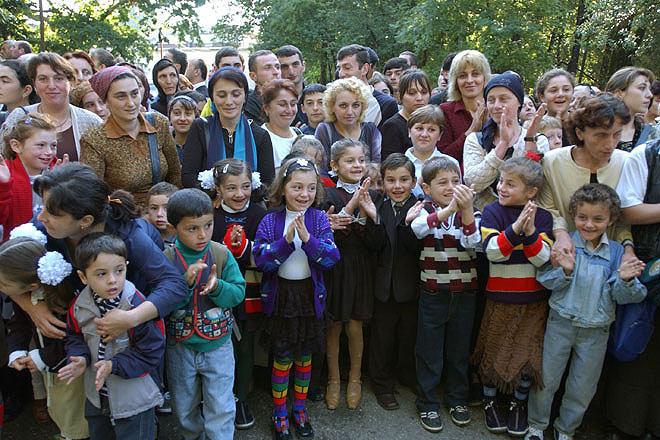 Informal breakfast at Krtsanisi Residence during the Ecumenical Patriarch Bartholomeos visit to Georgia Sep. 19-24, 2003.